Exhibiting somewhat of an illusion, this citrine pendant is bursting with colour and intrigue. Suspended between a solid gold setting encased with diamonds is a large, bright orange citrine gemstone. This gemstone was hand picked to ensure it meets all of the master jeweller's criteria. 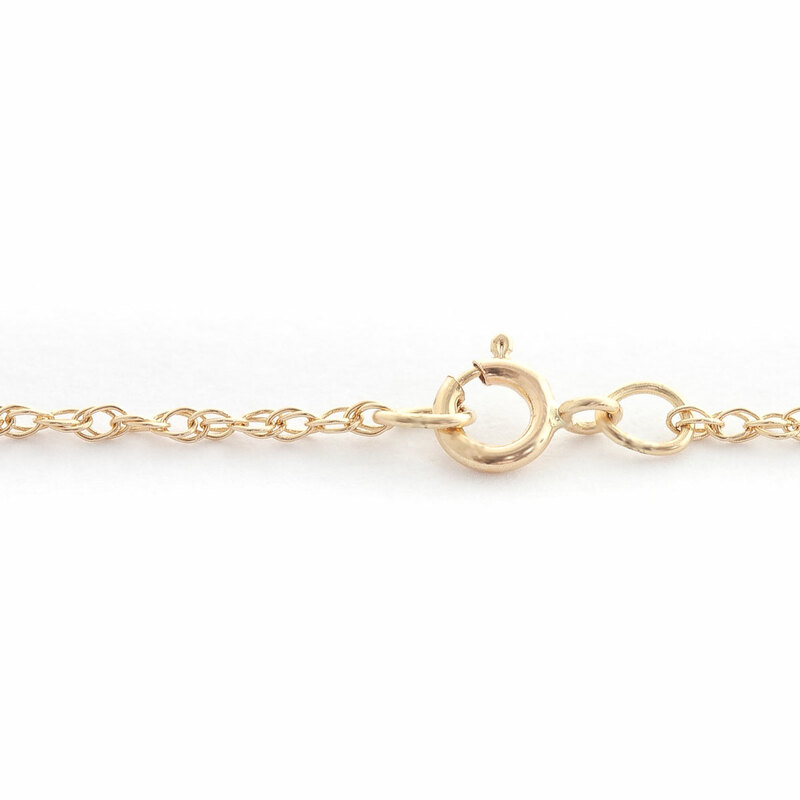 It's suspended by a beautiful rope chain which offers both strength and elegance. Single 3.1 ct natural citrine, grade AAA, six diamonds, SI-1/G, total 0.1 ct. Heart cut. Pendant suspended from gold double link rope chain with spring clasp, length options from 14" to 24". Available chain thickness 0.68 mm (pictured) and 1.15 mm.